As far as we know, this is the only official, Diesel-equipped VW that can pull wheelies. Of course, it's the only one that can pull stoppies too, as evidenced by the gallery of Dakar practice action photos below. These photos were taken as Carlos Sainz put in one last practice session before packing his VW Race Touareg 3 off to Buenos Aires for the start of the 14-day Dakar rally on January 1. Like the past two race Touaregs, gone is pretty much everything but the headlights and grille, replaced with a steel space-frame chassis covered with a carbon fiber and Kevlar body. Power comes from a twin-turbocharged 2.5-liter TDI diesel delivering 300 hp and 442 lb-ft of torque to a ZF-Sachs five-speed sequential transmission with a three-plate ceramic clutch. Three limited-slip differentials deliver power through a high-travel suspension system similar to the the one fitted to the race-winning Touaregs in 2009 and 2010. The new trucks have been optimized for the tremendous 15,000 foot race elevation changes, so performance won't suffer so badly when the engines are starved of oxygen. 0-62 mph comes in just 6.1 seconds with a top speed of 117 mph. 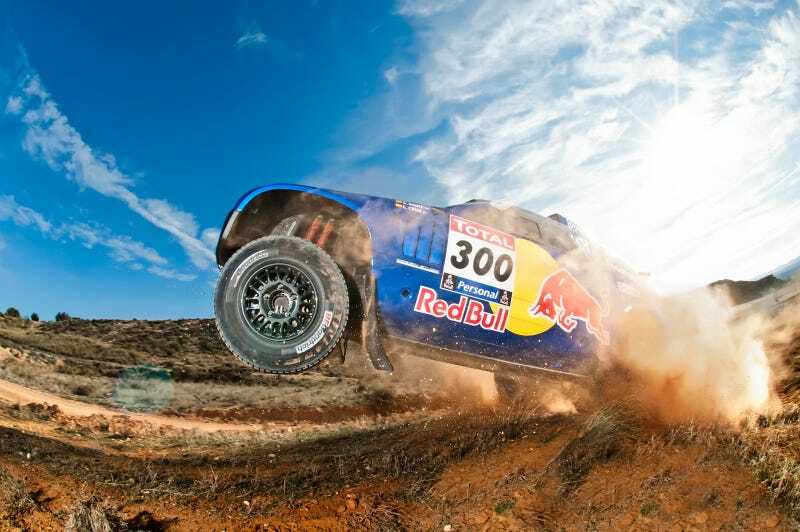 Sainz won the 2010 Dakar in his VW Race Touareg 2, we don't expect the result to much different this year.